Anna Novikoff has been a real estate broker for 27 years providing extensive experience and knowledge of the local housing market and condominiums in particular to her clients. She has been a broker in the Windermere Yarrow Bay office since 2004. You can find out more about Anna and how she can help you with your next condo purchase or sale on her website www.condomaximums.com. Make sure you see the original blog post on her website! We offer money saving advice – Planning to sell in a year or two, but not sure which repairs or renovations will give you a good return on investment? We can give you valuable tips and even refer you to some great contractors and service providers. Brokers know the market today – We can tell you which neighborhoods are hot, and why. Great brokers will stay on top of market data such as inventory rates, sales to list price ratios, lending practices and average days on market. We also know what the current sales environment is like for certain areas, price points and home styles. All of these can be influential factors when deciding whether and when to sell your house. A broker’s CMA is the best predictor of your house value – Forget about the estimates you’re reading on various websites. A complimentary – yes, that’s free! – comparative market analysis from a professional broker compares your house to Active, Pending and Sold properties nearby that we view as similar based on many factors – square footage, location, architecture, interior updates, outdoor features being some. An updated CMA will provide you the clearest estimate of your house’s value if you were to place it on the market today. We will save you valuable time – We know you’ve already been searching online and will continue to do so, but we have tools to stay on top of listings from the day they hit the market to the time they go “Pending” to the (sometimes) moment they come back on the market. While you’re busy in office meetings, your broker is keeping her eyes and ears open for you, finding properties you might have never known existed. Likewise, we can wade through the sea of houses and eliminate those that we know are not a good fit for you. Brokers are insiders – You can read the marketing copy and view 20+ photos in an app, but only brokers can get private remarks from the listing agent or seller, access the full sales history of a property, and research applicable disclosures that might make a big difference to you. Again, this can save you time, frustration and money down the road. Agents get you in – If you enlist a broker from the beginning, you don’t have to spend your weekends going to Open Houses! We can arrange private appointments for you to tour a home when it’s best for you. This can be a huge advantage during a seller’s market, when houses sell within a few days – sometimes before an Open House can even occur. We know a little about the money stuff – Lenders, FICO scores, interest rates, down payments, FHA vs. Conventional vs. VA, cash offers…there are a lot of confusing terms used in real estate that can really add up! Brokers can answer many questions for you, and if we can’t, we can refer you to someone who can. We’re ready when you are – So much in real estate is about timing. In today’s market, if you see a house online or at an Open House, but don’t yet have a broker, you may miss the boat. By the time you meet with a broker, get setup for a showing, produce the documentation (such as a loan pre-approval), then submit an offer, the seller might have already received multiple offers and accepted one of them. It’s best to have all of the pieces in place so when we do find your dream house, you’re in a position to buy it! So if you’re just starting down the road to selling your house or buying a new one, get in touch with a real estate broker. We’ll do our best to make it well worth your time! 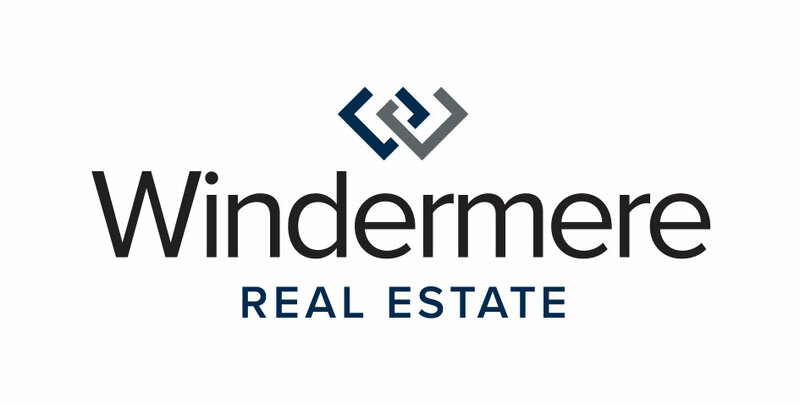 Erin Bowersox is a broker with Windermere Real Estate in Woodinville. A Bellevue native, she’s lived throughout the Eastside and California, and now resides in Mill Creek. You can learn more about her and her approach to real estate at www.ErinBowersox.com. Make sure you check out the original post on Erin’s website! Sure, we can all take some amazing photos with our smart phones, fancy cameras with non-fancy lenses or probably the new Apple watch. Here are great places to use those photos: posted on Facebook or Instagram, texted to a friend or relative, or left on your camera roll forever and ever. At least that’s what I do. Here is where you should not use those photos: on a real estate listing. Never. Those photos look terrible, and the 97% of buyers who search online won’t make the effort to visit the house if the photos aren’t great. I have seen some pretty bad photos lately (general niceness prevents me from posting them here). But picture this (no pun intended): living rooms with little else in the photo except a giant TV and about 500 inches of various cords, a kitchen with a cat on the counter, a bedroom with clothes all over, a shot of the driveway with three cars parked haphazardly, and a dining room with a pole coming out of the ceiling – OK, I had to post that picture! So please, in the name of Yen Lui, use a professional photographer. If you are a professional photographer or at least have a sweet lens then you might be ok. Check out these photos to see the same house shot with a good DSLR camera by an amateur and by a pro with great lenses. See what I mean? One of the things I do for my sellers is pay for professional photos. They make all the difference in the world and everyone is happy. Bonus: you can still post them on Facebook and Instagram if you want! By the way, if you want to see some terrifically terrible real estate photos, check out the aptly named Facebook page Terrible Real Estate Agent Photographs out of the U.K.! Cara Erdman is owner of Cara in the House Real Estate and a Windermere broker. Contact her at 206-919-2505 or cara at carainthehouse dot com with any questions. Make sure you read this original blog on her website. What Do Parking Garages And Your Business Have In Common? We had our office kick off meeting last week with several local developers there to discuss construction projects and the planned Sound Transit expansion. One of the speakers was Jim Melby, the president of Kemper Development. They are expanding their project downtown Bellevue with additional shops, restaurants, office space, hotels, apartments and much more. What really struck me during Jim’s talk was the amount of time and money spent on parking. Even Jim laughed about how focused they were on it, but as he talked, I realized what a big deal it is and how it is a perfect metaphor for our businesses. As the consumer, how often do you pay attention to the parking garage? Do you enjoy it or endure it? On the one hand it seems insignificant, yet it is the one element that virtually everyone who visits the project will experience. It is also the first impression and the last impression. Two key elements that shape the entire experience and influence, whether or not we come back or refer others. It sets the tone and expectations: A beautiful, well-lit parking garage tells you that you are in a nice place and sets the expectations for an enjoyable experience. What is your first impression with clients? Are you on time, well dressed and prepared or are you late, frazzled and distracted? Do you follow-up after the appointment with a thank you note and email summarizing the meeting and next steps? Or are you on to the next one leaving the client to figure out what’s next? These 2 experiences are the book ends of your client relationship and effect everything that happens in between. Make it easy for your clients: Jim talked about having a ramp at the side of the garage so that you can turn off on the level you want rather than spiraling down via hairpin turns that make you nauseous. The support columns will be place at the head of the parking stall rather than the middle so that you are less likely to hit them with your car. How do you make it easy for your client? Do you send them marketing and closing timelines so that they know what will be happening when? Make them feel safe and valued: They paint the garage white and light it so that their clients feel safe and not like they are in a dungeon waiting for someone to leap out from behind the next corner. Not only does it make their consumer feel safe, but it sends a message that they are valued and they genuinely want them there. Do your clients feel like they are participating in the wild west of real estate or do they feel safe and secure knowing that you have a process? A process let’s your clients know that their interests are protected and you value them as a person vs viewing them as your next paycheck. Make it easy for them to find you: In this next phase they are adding more elevators making it easier to access amenities. Do your clients know when they can reach you? Do you have regular communication schedules such as Monday listing updates? Don’t make them work too hard for the info. Ever wonder why it seems like you are trying it push a boulder uphill in your business? Maybe you are blocking your momentum by ignoring seemingly small things that make a big difference. Take a few minutes to look at your business from your clients perspective. What are the seemingly small things that are actually opportunities to have a huge impact? Sometimes the solution to growing your business is easier and closer than you think. Make sure you check out her original blog post!